Sidney Nolan, perhaps this country’s best known painter, was born on 22 April 1917. 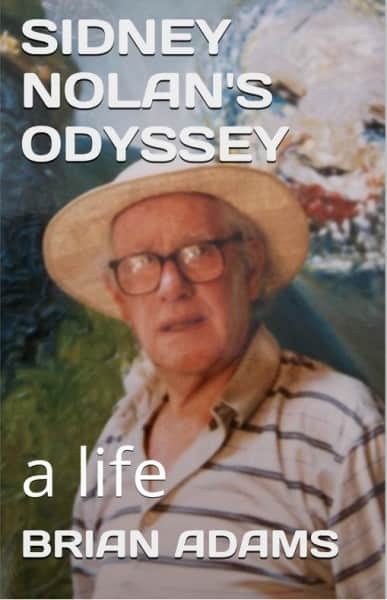 As his centenary approaches, so are new books making their appearance – beginning in 2014 with Brian Adams’ online Kindle e-book Sidney Nolan’s Odyssey: a life. Although he was written about in countless monographs, catalogue essays, journals and newspaper articles etc, the first Nolan biography as such was published in 1987 only five years before his death. 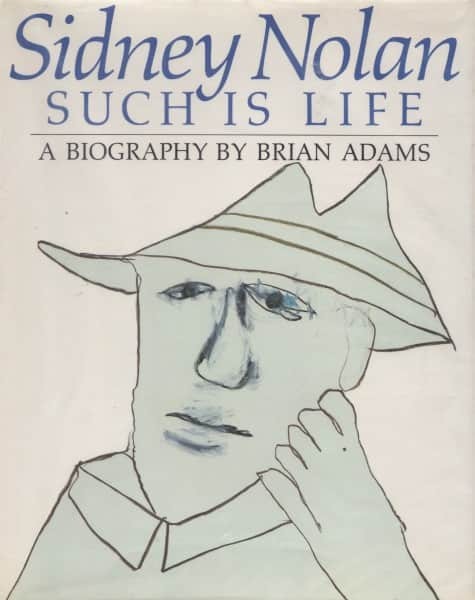 Sidney Nolan: Such is life, a biography was also written by Adams. Today it is seen to be hagiographic, although proving useful in seeing how Nolan himself wished to be remembered. Adam’s new e-book Sidney Nolan’s Odyssey, essentially a rather obvious rewrite of Such is Life, is little different. The following comparison, describing the occasion in 1977 when Nolan visited Heide with his new wife Mary but remained secreted in the car, is typical. The title had me almost hoping for a Ulysses or a Bloom …. perhaps Molly on the shore, Penelope by the hearth. Not to be! Nevertheless, because Adams makes it clear that Odyssey has been prepared using the many tape recordings he made with Nolan over the course of a year when he wrote Such is Life, some differences between the two books may prove valuable to the astute Nolan scholar. One such category is material first included in Odyssey and which, if able to be sourced directly to Nolan, could point to material he spoke about on tape, but perhaps did not want to appear in Such is Life. This could include a number of more explicit sexual references. A second category, having nuances possibly attributable to Nolan, concerns material written descriptively in the third person in Such is Life, but reworked in Odyssey to appear as a Nolan quote. A third category is material not appearing at all in Such is Life, but rather first surfacing in Odyssey as a directly attributable Nolan quotation. Detailed investigation is continuing to list examples in this last mentioned category. The tapes Adams recorded with Nolan are important. One senses an affinity between the younger Adams and the older Nolan. It is to be hoped that the Nolan/Adams tapes have been, or will be, placed in a Manuscripts Collection or the like in a suitable library. They will most likely prove to be of inestimable value to future researchers. Nolan, maker of myths with his brush, was no less skilled a myth-maker when it came to himself. 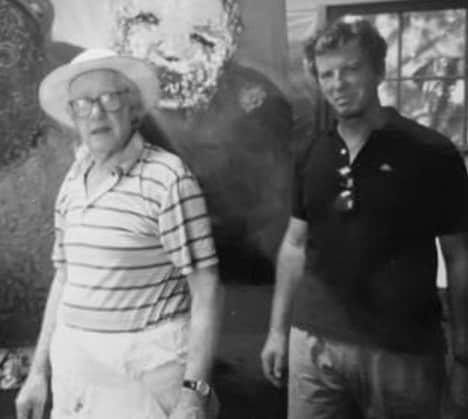 His many cataloguers, curators, historians, gallerists and enthusiastic journalists made him a legend – often with his active assistance and connivance. No better proof of the veracity of this statement will be found than the simple fact that it has been made.